Pray for your local church and the local churches in Slavic countries. Ask the Lord to increase the spiritual life of each member of the church. Ask Him to assist your church in the area where you live to seek souls with salvation from sin. And may this assistance extend throughout the whole world. Pray for your pastor and leadership, as well as the pastors and leadership in the Slavic world. Pray for peace in the world. Ask God to restrain evil through the Holy Spirit in order that His Word may have free course in every country. Let us not be pessimistic about the future! We labor together with God. His supreme purpose to ransom among the nations a remnant for His name will be realized. Christians are, therefore, “more than conquerors through Him who loved us” (Romans 8:37). Evangelization will continue until the Lord returns for His completed church. May the tumultuous changes occurring in the word not deter us from faithful intercession for the witness of the church worldwide, nor from the support of missionaries called by God to share Christ to a world in need. “Therefore, let everyone who is godly pray to Thee in a time when Thou mayest be found; surely in a flood of great waters they shall not reach him. Thou art my hiding place; Thou dost preserve me from trouble; Thou dost surround me with songs of deliverance” (Psalm 32:6-7). The SMS missionaries in Russia have ministries that are spreading throughout their regions and even the world. Reaching the children and youth in each area is most important. God has blessed each missionary with discernment, gifts and talents in order to share the Gospel specifically to these age groups. 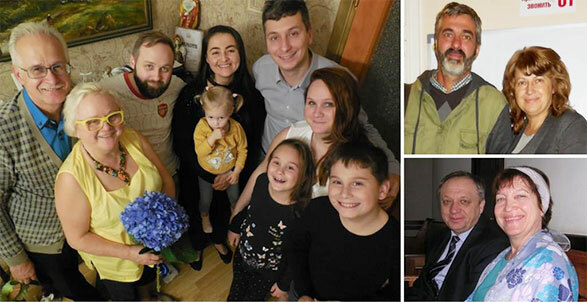 And these missionaries in Russia are sincerely grateful that SMS is assisting them in their endeavors. Pray that the SMS national missionaries will be greatly used of the Holy Spirit to declare and distribute the truth of the Gospel. Ask for special physical and spiritual protection, as they labor for the Lord. Pray that Christian workers facing discouraging problems may realize afresh the vastness of God’s power at their disposal. “For this reason I bow my knees before the Father, from whom every family in heaven and on earth derives its name, that He would grant you, according to the riches of His glory, to be strengthened with power through His Spirit in the inner man” (Ephesians 3:14). God’s strategy for world evangelism calls for two equally important elements: Co-missionaries and Go-missionaries, the senders and the sent, the supporters and the workers. A Christian church without missionary enthusiasm is a contradiction. God depends upon the faithful testimony of His people for the evangelization of the world. The Savior expects those who have tasted the sweetness of salvation to spread the news far and wide. He has commissioned His children to share His Word to the lost in every country.